What would you do to spread happiness? 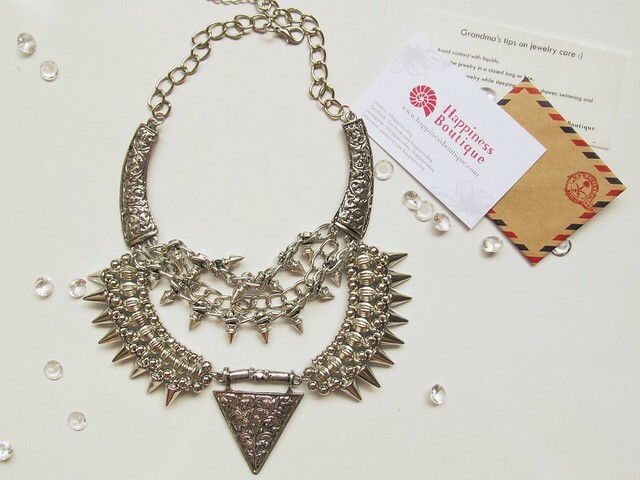 Well, Happiness boutique made me very happy when I got this necklace. 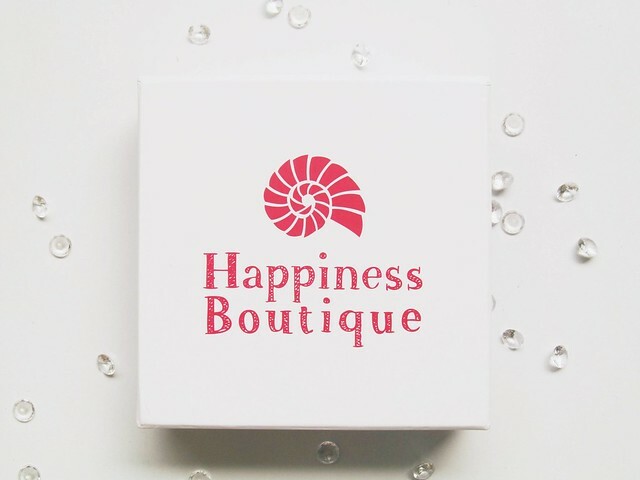 Happiness boutique is a online fashion store and they sell stylish jewelry and also clothes but with very affordable prices. They are not just typical commercialized company, but someone who wants to make a girl feel stylish but also beautiful and happy. 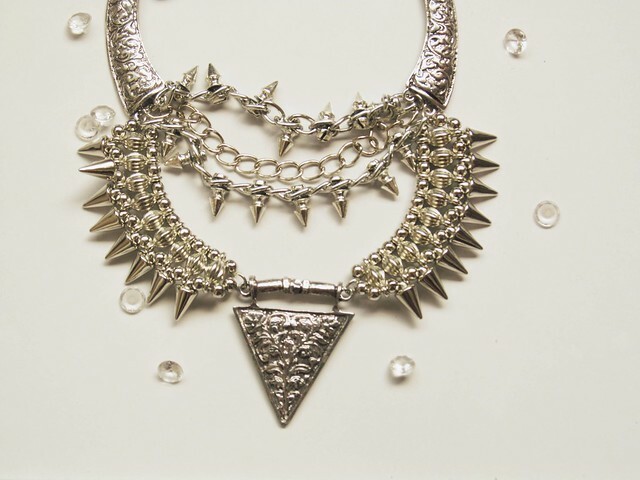 I am a huge fan of statement necklaces. 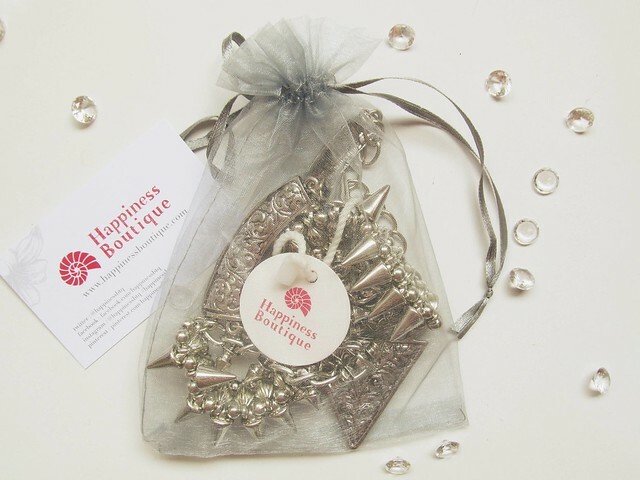 My stunning silver toned statement necklace arrived in the cutest white box with the Happiness Boutique label. When I opened the box, there was a personal message inside, card about their Rewards Program and one thing that I thought was so cute Grandma’s tips on jewelry care for the care instructions for the necklace. I was really impressed with that. But speaking of the Happiness Boutique Rewards Program, this is available to anyone. With this program, you can shop on their site and receive points for sharing your purchases. The necklace was in cute gift bag to be secure during transport and also to look cute. It is even perfect idea for gift. Necklace is really beautiful and great quality. Although it looks difficult and massive, it is easy for carrying. You can see how I styled it in my latest outfit post called Happiness. Overall my experience with Happiness Boutique was amazing. 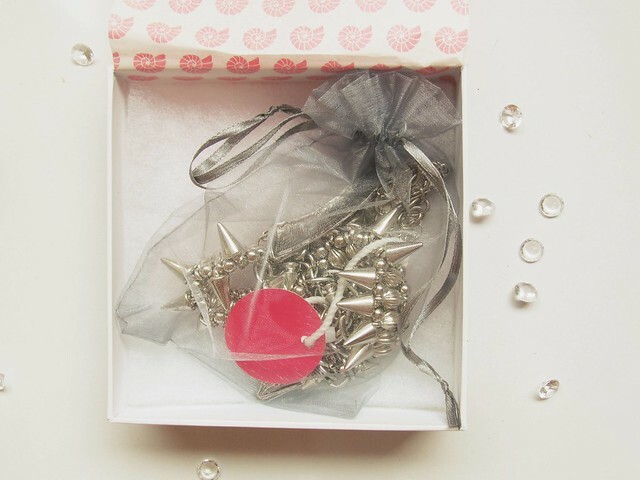 I was impressesd with packaging and how they pay attention on details and of course I love the necklace too. So be sure to check their site and check this cute video to see how they spread happiness! Thank you girls for beautiful necklace, you are amazing! They have wonderful pieces! :) Great review dear! prekrasna ogrlica, jedva čekam vidjeti kako ćeš je nositi.